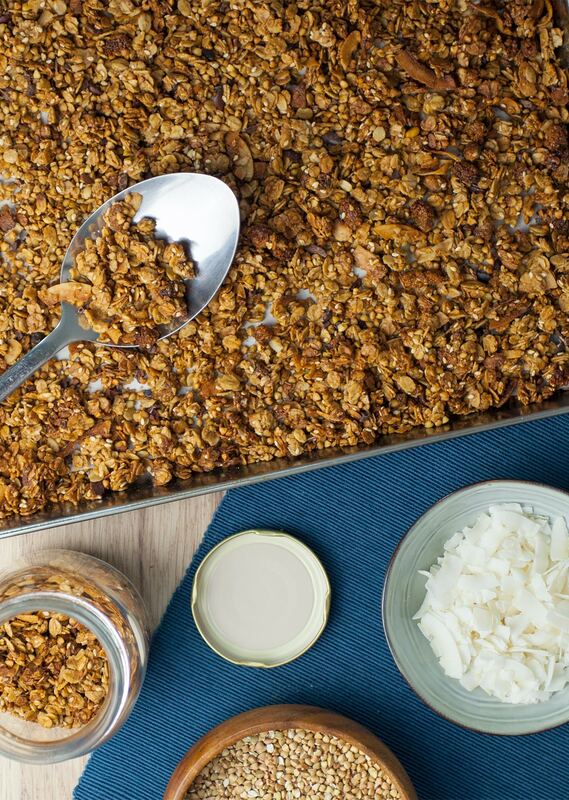 Wow, who knew making your own healthy homemade granola could be so simple? Granola is packed with so much good stuff, making it a great way to start the day. Most recipes are high in fiber, iron and protein, and making your own homemade version like this one will help cut down on all the bad sugars you’ll often find in supermarket brands. 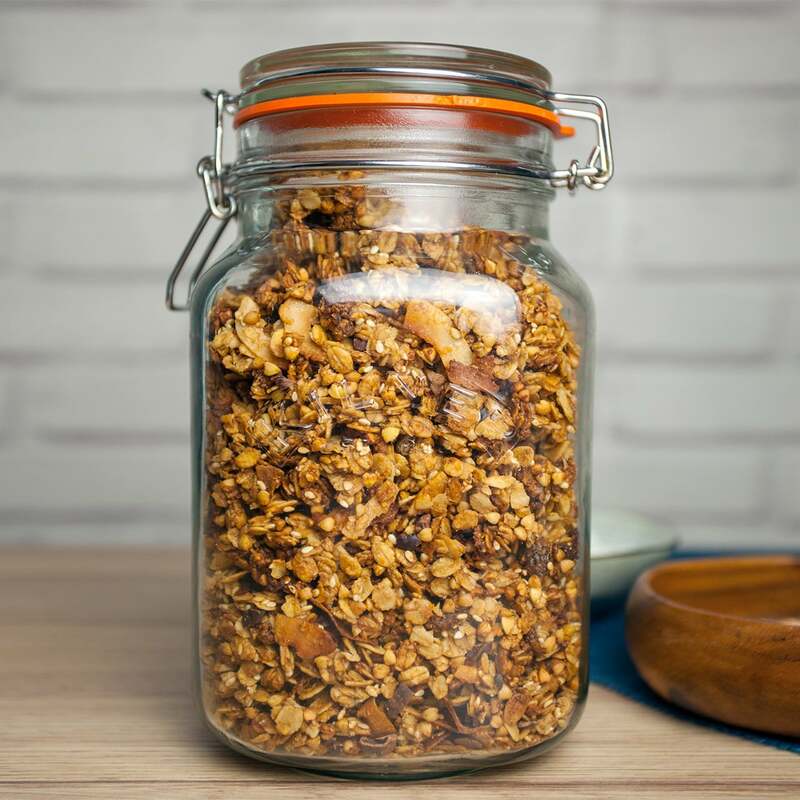 This delicious recipe is by our friend Sophie Gordon, who not only runs an awesome food and wellbeing blog, but is also the founder of Dust Granola – small batch granola hand made in London. Honestly, we were blown away with this recipe. There’s tons of flavour to it, from fragrant spices to subtle sweetness, it’s got everything you need! Line a large baking sheet with parchment paper. Put the oats and buckwheat onto the baking paper and toast in the oven for around 10 minutes – keep an eye out so they don’t burn. Remove from the oven and place to one side. In a mixing bowl, whisk the tahini, maple syrup, vanilla extract, coconut oil, zest of the orange, 2 tbsp of orange juice, mixed spice, cacao powder and salt. This will form a gloopyish mixture. Add the oats and buckwheat, followed by the coconut flakes, sesame seeds and mulberries. Make sure everything is coated well. Spread the mixture back onto the baking sheet. Place in the oven and bake until a deep golden brown (roughly 25 mins). Stir and flip half way through – depending on your oven, this may take slightly more or slightly less. Once you’ve removed it from the oven, add the cacao nibs and stir. Allow to cool before then removing from the tray and transferring to a jar to store.